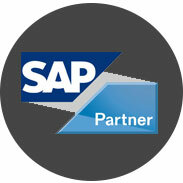 Xapsoft : Providing SAP Solutions. For Small Businesses that want to fully integrate their end-to-end business and grow. SAP Business one Starter Package. Run your company more efficiently with the SAP Business One starter package, an integrated business management solution packaged and priced for small businesses. Take your small business to the next level � with affordable,�cloud-based software. Get the business software you need, the way you need it, with SAP Business One Cloud. Take your Business to the next level of Performance with SAP HANA. Grow your margins and your company � with small business management software powered by SAP HANA. Take your business to the next level of performance with SAP HANA for SAP Business One. Empowers people to do more on their own and execute faster and smarter -all from a single, affordable solution that can lower your ownership costs and delivers real-time simulation and planning functionality to help you tackle previously unsolvable problems. We have been providing original, effective software solutions to our clients for the past eleven years. During this time, we've grown to a large cohesive team, including positions in design, programming, Business Analysts, QA Analysts, Implimentation experts and management. Whether you're searching to manage your existing software or if you want to completely overhaul your application with new features, our staff is here to help. With in-depth knowledge of both the creative and technical aspects of design, development, and implimentation, we will guide to help you achive your desired results. We believe that only mantra for successful outsourcing business is to provide 'In-house' experience of offshore team to the client. Our processes, tools and methodologies are always oriented to fulfill this mantra. Take your Business to the next level of Performance with SAP HANA. Get big company performance at a small company price - with SAP Business One, version for SAP HANA. This small business management software, powered by our in-memory computing platform, can help you supercharge application performance and analyze massive volumes of data in real time - without complicating your IT landscape. SAP Business One is an integrated enterprise resource planning (ERP) solution for small and midsize businesses, as well as subsidiaries of large enterprises. SAP Business One helps you manage every aspect of your company by providing you with access to real-time business information through a single system. The application is divided into a number of modules, which each cover a different business function. SAP Business One is designed to be a flexible and extensible solution. The application is available on premise or on demand, with standard interfaces to internal and external data sources, mobile devices, and other analysis tools. All -essential business functions are available out-of-the-box. All business functions come in one package. Integration with other systems and subsidiaries is possible via standard integration packages or open APIs. The flexible platform allows for future growth and innovation. There are localizations and pre-integrated, industry-specific, horizontal solutions. Offered via mobile devices and providing real time data insight, you get the access to ground breaking technologies like SAP HANA. Start with a basic on-premise implementation with a few users, or use our special starter package. Get the business software you need, the way you need it, with SAP Business One Cloud. This affordable, solution can help integrate and streamline your key processes - including financials, sales, inventory, and more. And because the solution is hosted and maintained by experts in secure, world-class data centres, you can spend more time on innovation - and less on IT. Available computing resources can effortlessly scale up or down according to business requirements. All essential business functions are available out-of-the-box. Utilization of computing resources is precisely monitored on a per-tenant basis, so you pay only for what you use. Hosting providers can provision and manage computing resources automatically, thanks to the availability of powerful lifecycle management tools. By leveraging the infrastructure of the hosting partner, you save on capital expenses. You can run your business anytime and anywhere, using a variety of low-cost devices with network access. Running your business operations in the cloud can offer a number of benefits. The primary advantage is the ability to share common computing resources with others, leading to dramatic decreases in costs. SAP Business One OnDemand is offered with subscription-based pricing, replacing large up-front capital expenses with a low-cost, predictable operational expense. Instead of system administrators managing their IT landscape, data centers take on this responsibility. With rapid, automated provisioning of preconfigured resources, companies can be up and running in considerably less time than the multiple weeks associated with more traditional enterprise resource planning. With the SAP Business One starter package, you'll gain the essential functionality of the SAP Business One application in a preconfigured solution for small businesses. Go live in as little as three days - with the SAP Business One starter package. Faster to implement than the standard edition of SAP Business One, our starter package captures the best features of the solution - at a reduced price. This preconfigured small business software covers your basic accounting, financial, sales, customer relationship management, purchasing, and inventory processes. ASAP Methodology for Implementation is the SAP roadmap for implementing SAP solutions in a cost-effective, speedy manner. ASAP provides a proven, repeatable implementation methodology to streamline projects and achieve lower total cost of implementation (TCI). SAP offers ASAP methodology for Simplified Rapid Deployment Solution Experience, Assemble-to-Order projects, Agile and Standard projects to support the needs of clients with various SAP deployment strategies. Official SAP Landscape Transformation community. Helps you to find user resources including presentations, news, discussions, videos, and other information about how to merge, split, or convert data in your system landscape. Official SAP Test Data Migration Server community on SCN. Find user resources including presentations, news, discussions, videos and other information about how to create lean, consistent and high quality non-production systems. SAP Rapid Deployment SolutionsWhere is place located? Here's the fastest way to run your business better: Our rapid-deployment solutions. In one package, you get everything you need to be up and running quickly - including preconfigured software and implementation services - in just weeks. With a defined scope and predictable costs, there are no surprises. And you can expand your solution as you go. Globalization Services deliver globalization of SAP solutions across the entire solution portfolio, covering legal requirements as well as local business best practices, translation and technical enablement of a system to operate globally. Join discussions and explore globalization topics and country specific information about India and Israel in our related categories or access the terminology category to find out more about SAP's official terms translated into more than 40 languages. SAP Advanced Delivery Management user space on SCN. Join discussions and find the latest blogs and learning resources about SAP's new way of implementing SAP solutions: SAP Advanced Delivery Management. This is an approach you use on all types of SAP implementations (HANA, Mobility, Cloud and On-Demand Solutions, RDS, Traditional projects, with strong reliance on blueprinting etc.) to drive innovation, value based and efficiency implementations. Take your business to new heights Save time, money, energy, and space - with our virtualization and cloud management services Rely on expert support to help you run your business-critical solutions in a virtual environment. Our virtualization and cloud management services team will work with you to speed the transformation process to on-demand computing - for maximum flexibility and significantly lower operating costs. © 2018 Xapsoft Technologies Pvt. Ltd.